Berghaus, the English manufacturer of functional sportswear, is hugely popular with lovers of the outdoors. Their products are perfect for extreme weather conditions and boast high-quality materials. Experts in the fields of mountaineering and hiking are involved in the designs and by using the latest technologies such as Gore-Tex, Berghaus remain ahead of the game. Whatever outdoor activity you love to do, make sure you not only look the part, but you also feel it too. The Berghaus line of high-quality and functional sports and leisurewear is designed to be worn in any weather conditions and offers a wide range of products including hiking and climbing clothes, backpacks, t-shirts, winter jackets and leggings. The Addnature.co.uk website stocks a large selection of its latest and greatest products. Once you try Berghaus products, you’ll wonder how you got along before without them. Berghaus is an English manufacturer that has been in the market of making outdoor sports and leisurewear since 1966, founded by climbing and mountaineering experts Peter Lockey and Gordon Davison. Due to their frustration at the lack of choice of good-quality outdoor gear on the market, they decided they could do it better themselves. Their products were researched and developed by experts in the field of mountaineering and hiking, incorporating the latest technologies. Berghaus was one of the first European manufacturers to integrate a new and ground-breaking material of its time known as Gore-TEX into its products in the 19070s, as well as design streamlined and lightweight backpacks. During the 1980s, the brand was worn by one of the world’s greatest climbers, Sir Chris Bonington, when he climbed Everest for the first time and Alan Hinkes, one of the UK’s most successful mountaineers, began working with the company. Today, the brand offers its customers excellent value for money, and a good choice of products that suit both beginners and experienced hikers and outdoor sports lovers. Throughout its history, Berghaus has continued to push the boundaries with innovations such as Gore-TEX socks that keep feet dry, layering systems to clothing that give wearers optimum protection and comfort, rucksacks crafted from the lightest and most breathable fabric and packable outerwear that is waterproof, windproof and has good ventilation. Nowadays, Berghaus integrates Gore-TEX into much of its clothing, rucksacks and footwear, and its advanced technologies are built in to make you perform better for longer and in more comfort. Berghaus is your ideal partner for sports and leisure activities, with a comprehensive collection of good-looking, high-performing and durable clothing and accessories for men and women. 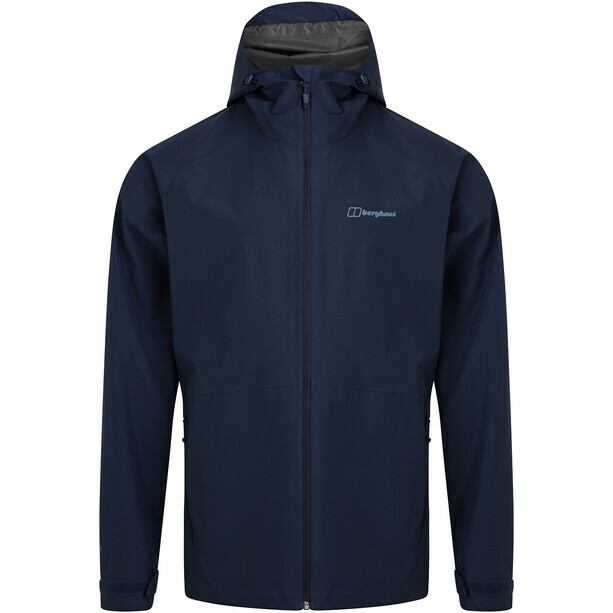 On the Addnature.co.uk website, you can find an extensive selection of Berghaus clothing and accessories. Distinguish yourself from the pack by choosing items that will give you the best experience possible. Berghaus experts have already headed out into the wilderness to research and test their outdoor gear, meaning that you can feel confident that you have only the very finest handpicked products, from hiking essentials to backpacking gear. Stand-out items in its collection include the selection of Berghaus waterproof Gore-TEX jackets, which are unrivalled in their ability to protect you against the elements while keeping you cool and dry during physical exertion, soft fleeces and multi-purpose, ergonomic and ultra-lightweight backpacks of different sizes, suitable for all your leisure needs.